Look what arrived this afternoon!! 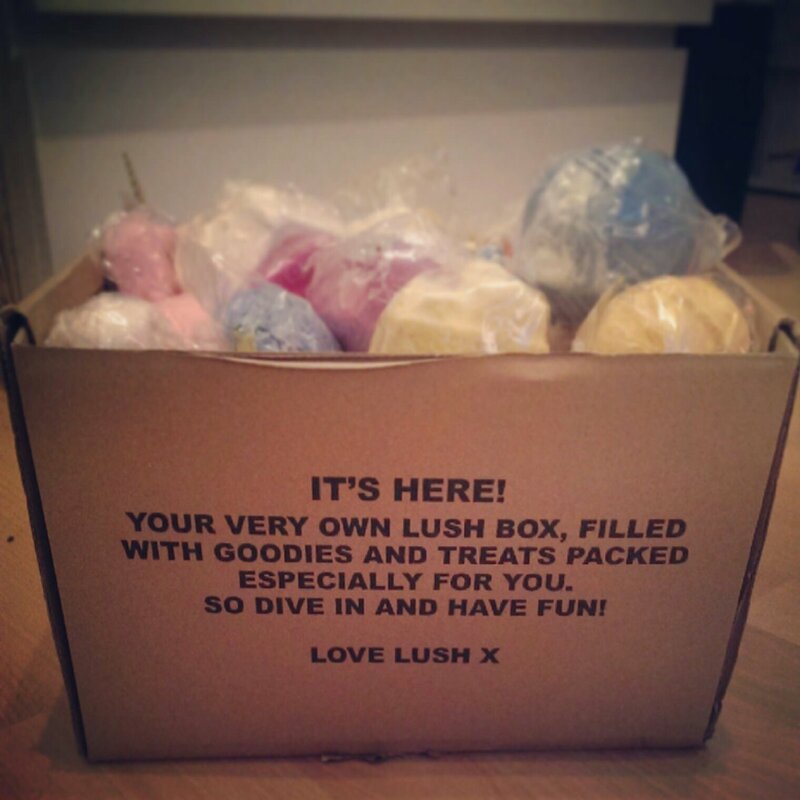 feels like I've been waiting forever for this little box of goodies to turn up! I don't tend to buy a lot from lush in the year as it can be quite costly, but I can never resist the 50% off Boxing Day sale! 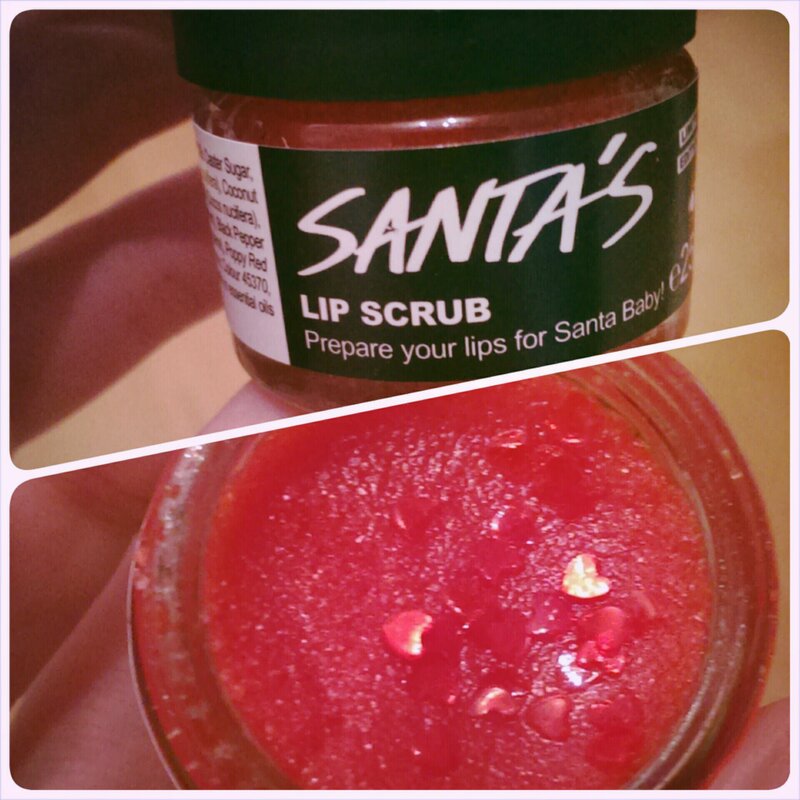 I was in desperate need for a new lush lip scrub as my mint Julips its ruining out of date this month; so I picked up a santa's lip scrub. Lush's lip scrubs do wonders! They gently exfoliate your lips without any harsh chemicals, plus they are yummy! This one is cola flavour, with cute little edible hearts in it! TIP: Use before applying lipstick as it will give you a smoother base and make your lipstick look better! 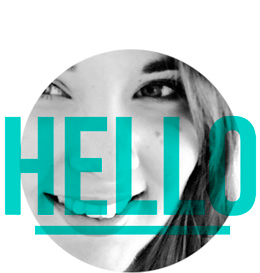 I couldn't resist trying one out! I went for the golden wonder in the end as it was sparkly :P. Although the glimmer on the outer layer went everywhere! Anything it touched turned gold! Below in the pic you'll see what happened once I put it in the bath! 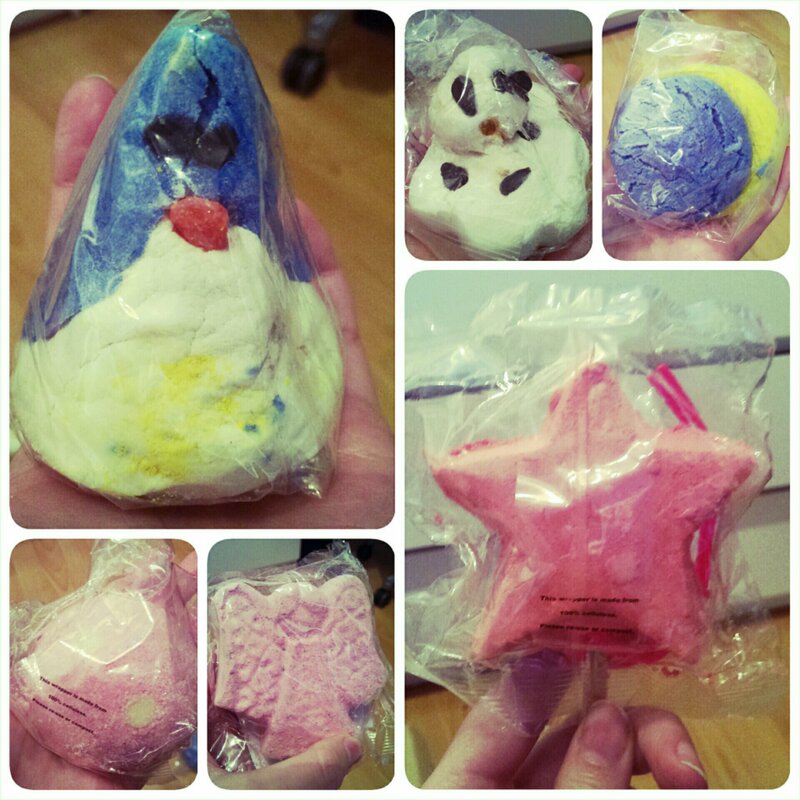 Was a very pretty bath bomb with lots of different colours coming out at different stages of the fizzing! Plus it fills your bath with lots of tiny gold stars! They disappear though so no hassle when cleaning the bath afterwards! Lush say it smells like a champagne cocktail, but I couldn't really get this from it. It's got orange oil and lime oil in its ingredients and you can definitely smell a citrus hint - not very strong in the bath water but could smell it on my skin afterwards. 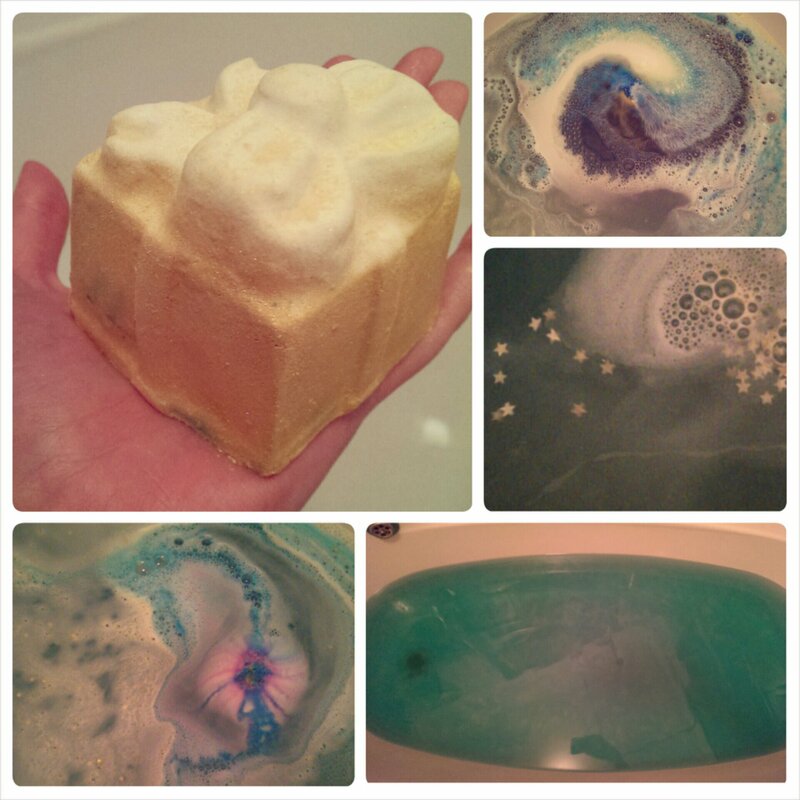 It makes the water nice and soft, but I can't say I noticed any other effects. Think it's more of a fun visual bath one than one thats really good for your skin. 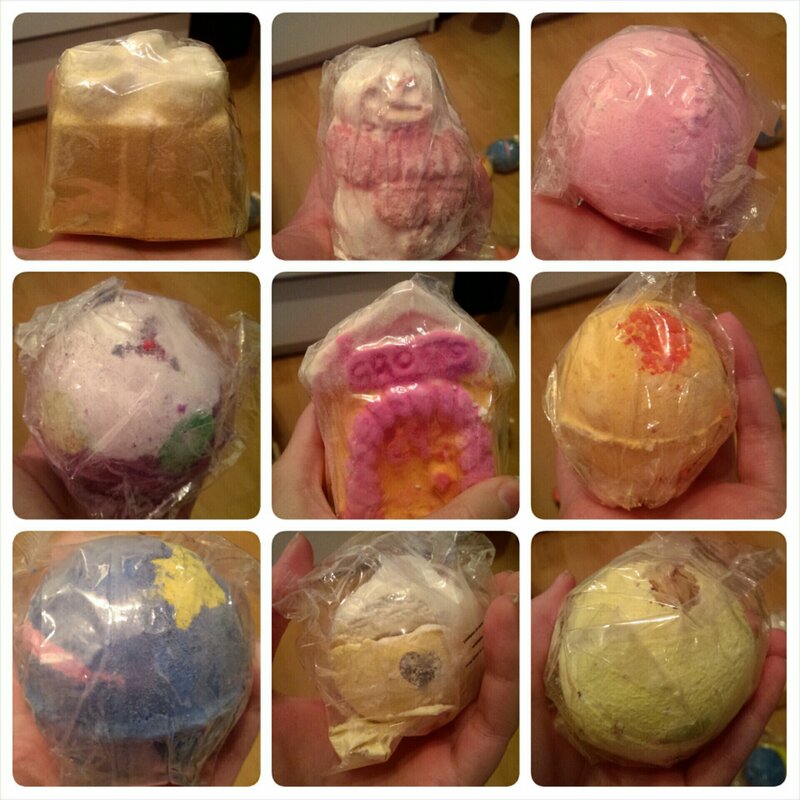 I don' think you can get these online anymore, but they might still have some in lush stores? Otherwise they might bring it out again at christmas this year. I paid £1.75 for mine. I had the Penguin Bubble Bar for Christmas :) he is so cute! I broke mine in half so I can have a couple of baths out of it, I found that using just his head (sorry Pingu) created a nice amount of bubbles.